We know how important choosing a quality care provider can be. The staff at Blessing U With Loving Care are special people. We take joy in our ability to make a difference in the lives of our clients and their families. Each staff at Blessing U With Loving Care are carefully selected, screened and trained for the capable and compassionate care for families and seniors. From extensive background checks and a careful screening process, to ongoing training and continuing education, we strive to offer the very best possible person at Blessing U With Loving Care for any specific individual or situation. All of our care-giving staff members are bonded, insured and covered by Worker’s Compensation insurance to protect our clients and their families. Different families choose Blessing U With Loving Care for different reasons. For some, it’s to provide extensive on-ongoing care for an aging senior. For others, we offer a much needed break or “respite care” – such as a night out with a spouse, vacation, or simple a few hours of quiet time at home—for family members who provide regular care. 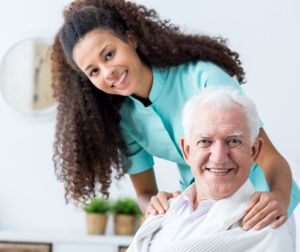 Because we understand that everyone deserves to live a full and independent life, we offer a wide range of care services customized for an individual client. Whether for just a few hours a week, or more extensive care, we work closely with your family to create a program that provides a perfect balance of service and value. 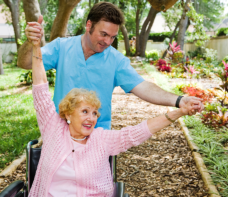 If your family member, friend, or loved one enjoys their independence but is struggling with everyday activities, elderly companion care is the solution. Blessing U With Loving Care will manage their daily requirements with specialized elderly companion care, matching their needs to serve as the best possible caregiver. If you choose to allow Blessing U With Loving Care to provide elderly companion care for your loved one, you’ll know you’ve provided them with the best possible care available.